National Breakfast Week kicked off on Monday 25th January, to celebrate Nestlé challenged us to create a "shake up your wake up" creation using their cereals. Maxwell was ever so happy to get his claws into several boxes of cereal that Nestlé kindly sent us to create the challenge. 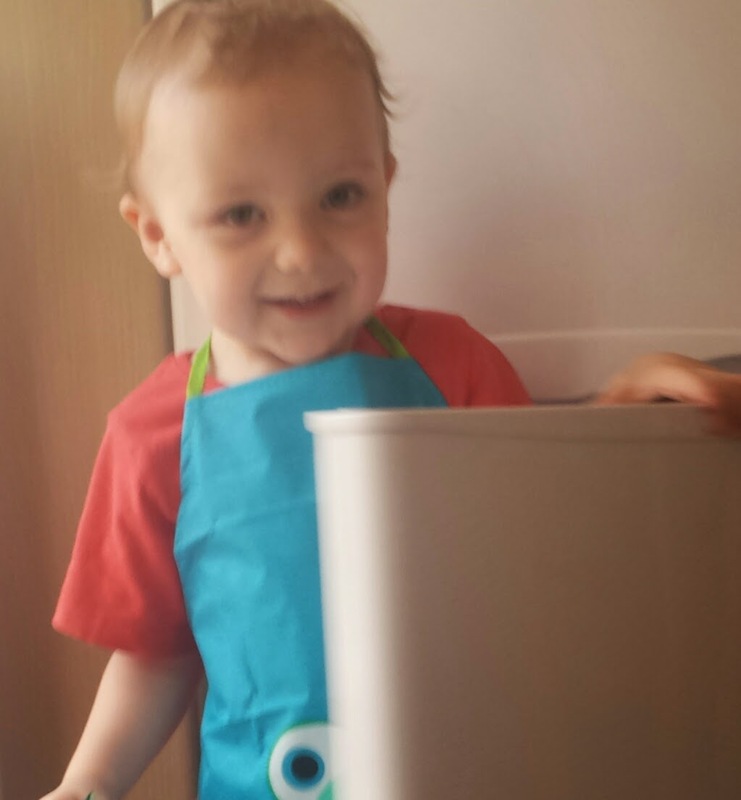 Unfortunately I did not think it was fair for Maxwell to eat all the cereal and taste all the goodness that Nestlé cereals provide so I felt it was time to draft in some help! After sunning himself in Spain over the New Year, Grandad Puppet is back to help us create some fresh ideas in the kitchen! Grandad Puppet and Maxwell met up on Monday morning to organize what breakfast's they would have through the week. They decided they would eat a different creation every day and at the end of the week they would report back with there favourite bowl. Grandad Puppet and Maxwell were sent a selection of cereals. They were sent Cookie Crisp, Shredded Wheat, Cheerios, Curious Cinnamon and Shreddies. They were eager to mix and match! 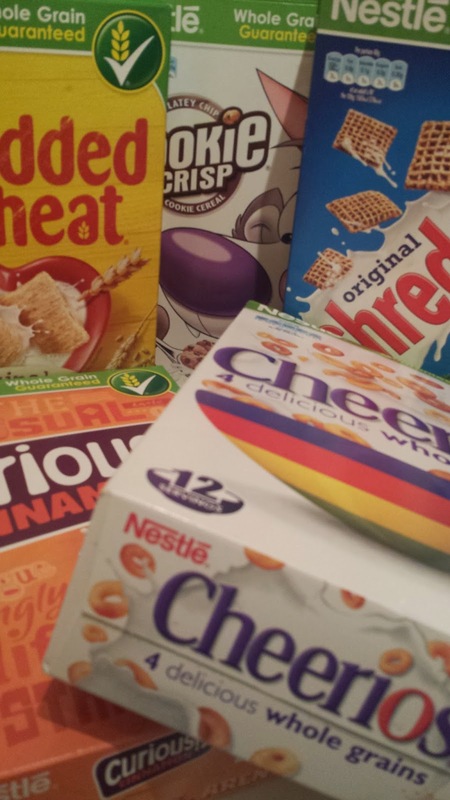 Nestlé cereals are a brand that not only have tasty cereals that are great for adults and children but all their cereals are full of whole grain goodness as they are high in fibre and have lots ofimportant nutrients packed into them such as B vitamins, calcium and iron. 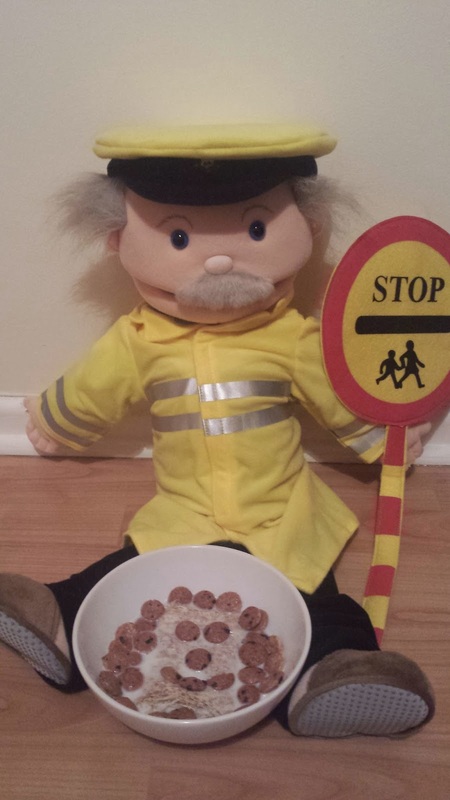 After a busy week at preschool and work, Maxwell and Grandad puppet met up and took time together to speak about what breakfast creations they both enjoyed. After a little deliberation they put there heads together and decided on there favourite bowl! Maxwell and Grandad Puppet noticed that the cookie crisp floated and the cookie crisp rose to the top whilst meanwhile the Shredded wheat stayed submerged in the milk! They came up with the name of their Nestlé creation and they called it Cracking Crazy Crisp! 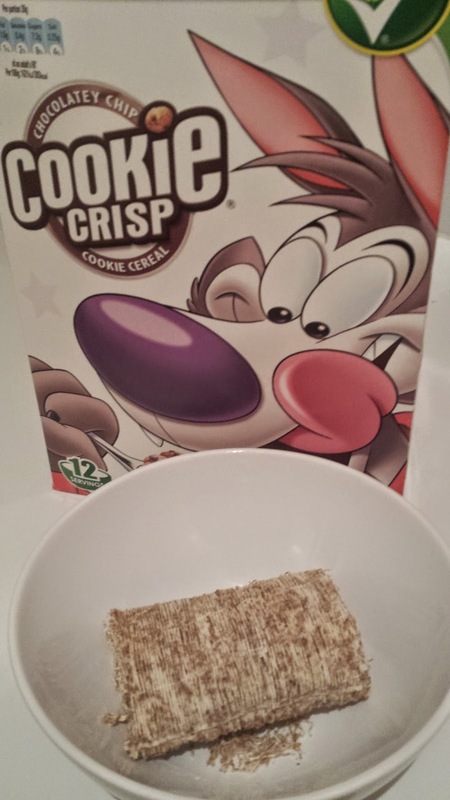 Cracking Crazy Crisp had crazy hair and a fun smile which was made out of Cookie Crisp and a had cracking taste overall. 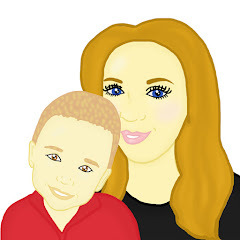 Grandad and Maxwell created a bowl of cereal which they felt lots of children and adults would enjoy and felt that there Cracking Crazy Crisp created a smile. Grandad decided to take it to work on Friday morning. Grandad is the local preschool's lollipop man and has many adult and children friends! He offered Cracking Crazy Crisp out so all his friends could have a healthy nutritious breakfast and he said Cracking Crazy Crisp went down a treat with the children and adults, they were all asking for more! I received 5 boxes of cereal for the purpose of this post. However everything written in this post is my own honest opinion. My kids love cheerios - lots of good choice!